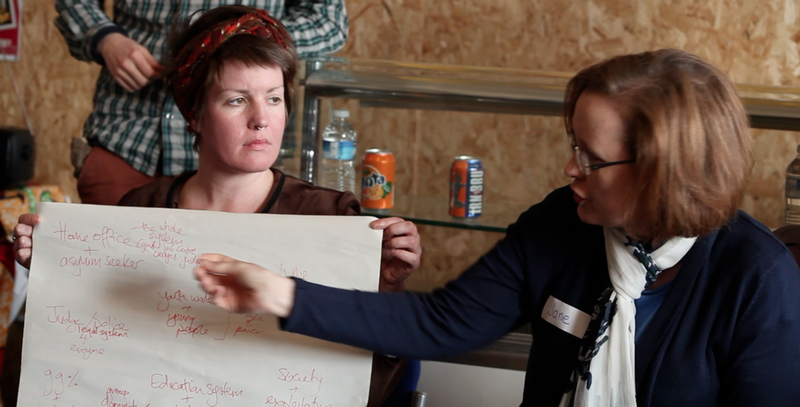 The basis for the workshop was to provide a space for dialogue and conscientisation – the process of developing critical awareness – on the current impacts of the welfare cuts to people in the local Glasgow community and community development workers lives. Since April 2012 the British Government have carried out a series of policy changes and austerity measures which have resulted in detrimental consequences to the most vulnerable people in the UK. In Summer 2012, various community development workers came together to organise ‘The Summer School – Introduction to Community Organising and Social Justice’ which took place on the first anniversary of Britain’s biggest and most recent uprisings (see the recent and brilliant Riots Reframed film). Through popular education process’, the School raised critical awareness about how best to support our young people, why it’s important to reflect on and learn from our political histories and why we should be taking control of how our actions are recorded. The workshop on April 6th 2013 builds on the Summer School’s legacy as it was organised by participants from the 2012 School who will be building up for a Summer School for communities on the front-lines of the cuts in September 2013. The dialogue and organising has included leading voices from organisations such as the Black Youth Movement (1), the George Padmore Institute (2), the Tottenham Defence Campaign (3) and The Monitoring Group (4). The workshop served to launch the ‘Let Freedom Ring!’ Community conscientisation programme. 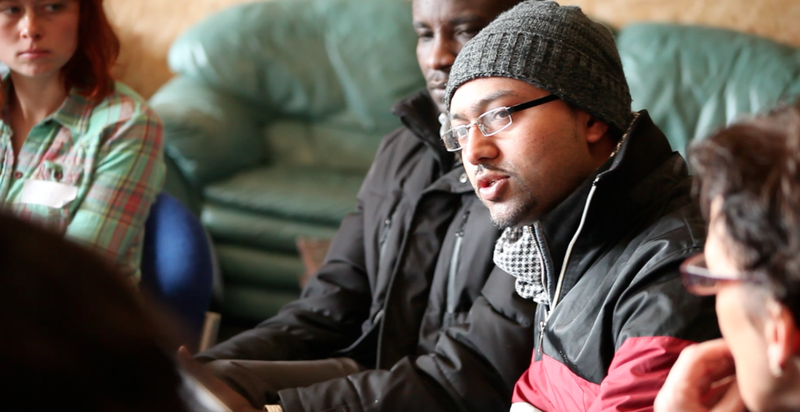 This Summer 2013, around the 2nd anniversary of the UK’s uprisings, the second Summer Programme ‘Let Freedom Ring!’ to empower our communities hits town, built on the legacy of the Summer School 2012 ‘Introduction to Community Organising and Social Justice’. Training activists and popular educators to fight injustice, the ‘Let Freedom Ring!’ team are building the School based on the strategies of Training for Transformation and Steve Biko’s ‘Black Consciousness Movement’ (5). There are launch events, including some key training methods to build power in our communities.The School has generated intense interest and organising committees are already being built to organise the School later in the Summer. 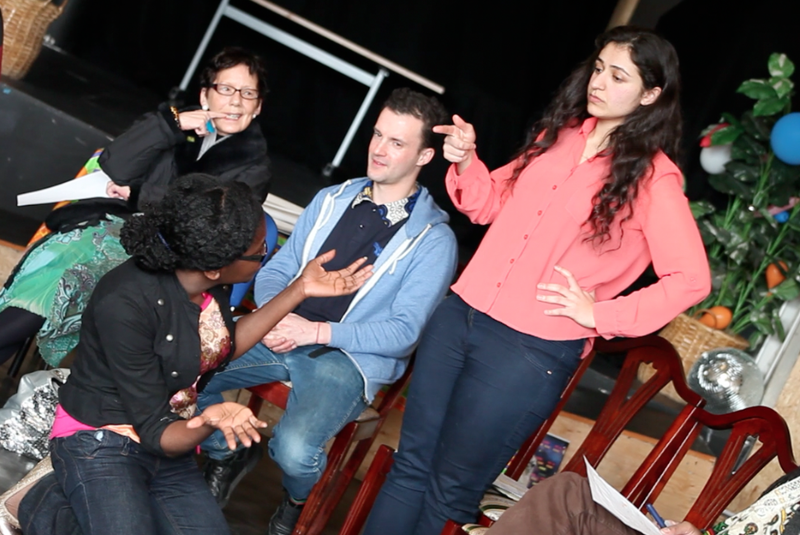 On the 6th of April, we had a two hour workshop on a Saturday afternoon in the Africa Centre (6) in Glasgow. The Africa Centre is the hub of community life for a significant section of Glasgow’s communities of colour and migrant populations. Participants were selected through an application process in the six weeks prior to the event. 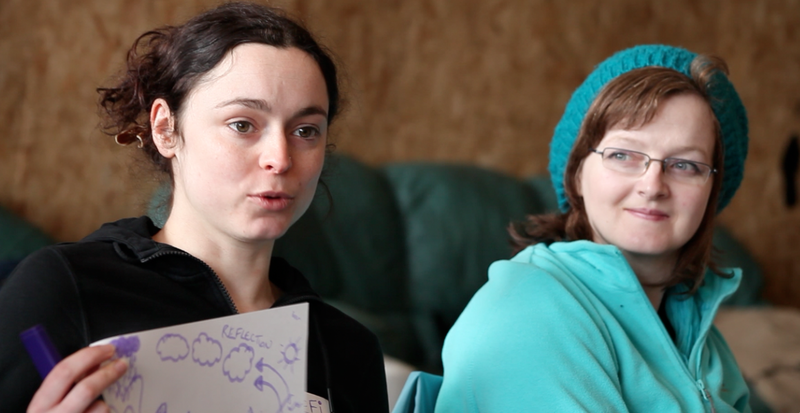 The organisers of the workshop built the networks through a series of conversations, press and community events in the run up to the workshop. In the evening after the event there was a social event, organised in conjunction with the Edge Fund ‘Radical Funding for Radical Change’, with people and performers from communities affected by the welfare cuts sharing their experiences through dialogue, song and storytelling – these included shadings from ‘Galgael’ (7) who provide a space that serves as something of a safe harbour for those whose lives have been battered by storms such as worklessness, depression or addiction and a recital from the Scottish Kinship Care Alliance (8) – Kinship Care is when other family members or friends (but mostly grandparents) take long term or permanent care of children unable to live with their parents. In Scotland alcohol and drug addiction are the most common causes of kinship care arrangements, but it can also be due to mental health, domestic violence, bereavement or neglect. Within the 2 hours training we engaged in two key processes (1) ‘The River of Life’ and (2) the Code Process. The training for transformation tools we used were critical in developing critical understanding of the daily lived reality of injustice and inequality. The tools included, ‘A code’ any form of communication, for example posters, skits, pictures, films, dance, stories, magazines, newspapers etc., which we might use to convey an impression of a problem, issue, or world view. Codes analysed the social norms that are hidden in everyday life, such as norms that are presented through the media, and other outlets of mass communication. Brazilian educator Paulo Freire intended to uncover what we perceive as social norms in our society for the purpose of revealing that they are problematic when used by the dominant classes to continue the oppression of the masses. The intention of the ‘Listening Survey’ process was to help us understand the particpants understand the needs within their own communities. On the basis of the problems voiced most often and most intensely the participants prepared ‘codes’ – sketches, pictures or songs – which illustrated the problems to community, and presented at the end of the session. Each code is ‘processed’ through discussion of the causes and conflicting interests, which affect the problem. People are expected to reach a consensus about which problem requires most immediate action, and then to undertake a process of ‘action planning’ to tackle its causes. Action planning involves the clarification of objectives and time scales, and the management of labour and resources including applying for funding. The purpose is to enable the participants to come to a level of a deeper level of liberation in the spirit of Steve Biko’s philosophy ‘the biggest weapon in the hands of the oppressor is your mind.’ It also includes organising skills whereby they have the key skills to lift the spirits with integrity using the methods outlined which will light the fire in their communities – this can only truly happen by praxis. A continued cycle of action and reflection or ‘reflective practice’. Reflective practice is the capacity to reflect on action so as to engage in a process of continuous learning, which, involves “paying critical attention to the practical values and theories which inform everyday actions, by examining practice reflectively and reflexively. 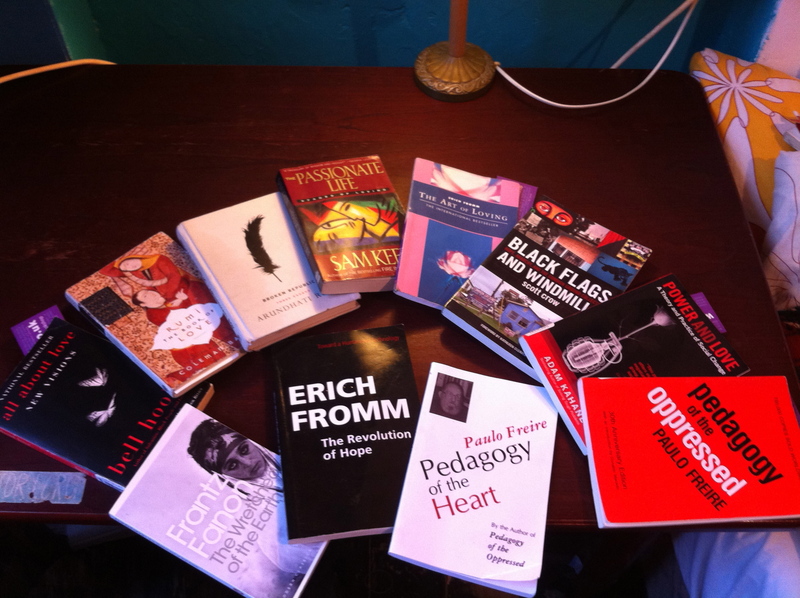 All of these examples of critical pedagogy helped develop a journey for the participants of a continuous process of what is called “unlearning,” “learning,” and “relearning,” “reflection,” “evaluation,” and the impact that these actions have on people whom they believe have been historically and continue to be disenfranchised by “traditional schooling”. It was really interesting to see lots of different people who gathered together for social change and justice. We made a great start by introducing briefly about who we are and where we work. Using the River of Life as a method to understand individuals journey as a tool for change was really powerful albeit having too little time to go into depth. The code process involved proposing a problem; trying to question what we see; relating this to real life scenarios then talking about concerns in different community groups and creating an action plan to solve and see the root causes. This was a great opportunity to see how everyone was angry and full of passion for change as a result of witnessing injustice in their communities. Allowing everyone to work in different groups was really good as individuals had the opportunity to share about who they were and talk about their experience of how challenging powerful people (oppressors) can be a tough process and needs a lot of work and patience. Bringing different people from different backgrounds as a tool of sharing experience and ideas to overcome problems in society and in different community groups allowed everyone to think about how action can be planned step by step by sharing and talking about how small problems are connected to one another as a result of injustice decisions made from people of the top. ‘Let Freedom Ring’ aimed to give participants the tools and experiences to understand and challenge the stereotypes, particularly those involved in uprisings and those who are challenging the welfare cuts, that they are presented with by the media. By providing an in-depth focus on the social issues that cause the feelings of powerless in the community, we aimed to show the story that is hidden from the public eye. 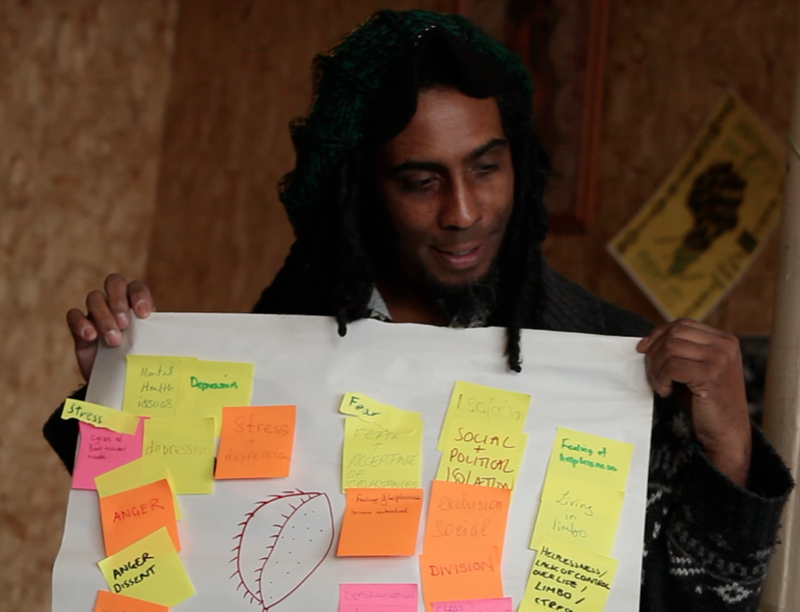 Through the transformative tools and the code process, dialogue was built around issues such as police stop and search, police brutality, racism, the draconian joint enterprise laws, environmental pollution and other issues that affect Black and Minority Ethnic (BAME) and working class people in the UK. Throughout these events and workshops the main picture emerged that the uprisings and emerging protests are not apolitical reactionary riots but valid responses to perpetual inequality and injustice. Only by providing spaces to build dialogue around the issues that affect working class and BAME people disproportionally, but more importantly, by showing how ordinary people resist the attacks on their lives, can we fundamentally change people’s perceptions about the way in which society works. I was really grateful and appreciative of my amazing co-facilitators who worked so hard to enable this critical awareness. I really learnt the importance and benefits of having a good team. Regarding the areas where we can deepen our animation skills – the main areas were time, organisation and the need to go into depth rather than touching the surface of critical awareness. Even though the session recieved positive feedback from the participants, it is always important to critically review the work for further improvements in future. For next time, being organized is an area which requires a massive work since as a team, we need to know what individuals are responsible for so that everything is clear when the session starts. listening and taking notes of the points being raised by the participants is really important as it reminds us for future to summarise what was being talked about. Keeping an eye on the time is another issue for development since every participant should have a say in every discussion if they like to make a point. Overall, the main issue was being organized and having insufficient time and a distracting venue. For future workshops we will need to organise a better space which is not distracting. We need to organise a methodology which has a much better framing to catalyse true dialogue where people can trust each other and actually go into depth. We also need to thoroughly reflect on the format of the tools we used. Sometimes we split into smaller groups whereas actually, a big group sharing their feedback on the exercises (River of Life and Code Process) could have been more beneficial for deeper and meaningful dialogue. I was really reminded that share we must truly create the conditions for people to question the wider political economics which they exist within. The participants have requested further workshops with a wider range of people affected on the front- lines of the welfare cuts – particularly the encroaching ‘bedroom tax’. The performance event post the training received a great deal of interest and I learnt that if possible, it is really important to provide more relaxing enjoyable events post intensive workshops. New Eugenics and the Rise of the Global Scientifc Dictatorship. Truth, Propaganda and Media Manipulation. The Globalization of War: The `Military Roadmap` to World War III. Black Youth Movement – Founded as part of the movement of the Black Parents Movement from the core of the parents involved in the George Padmore Supplementary School after an incident in which a young black schoolboy was beaten up by the police outside his school in the London Borough of Haringey. The George Padmore Institute – a library, archive and educational research centre housing materials relating to the life experiences of Caribbean, African and Asian communities in Britain. The Tottenham Defence Campaign – These are some the motivations behind forming the Tottenham Defence Campaign, a defence of the principal of equal treatment and due process, a defence against the dehumanising of an already demonised group of people, a defence against the implosion of an impoverished area and its people. The Monitoring Group – The Monitoring was established in Southall (west London), in the early 1980’s, by community campaigners and lawyers who wished to challenge the growth of racism in the locality. We have become a leading anti-racist charity that promotes civil rights. Steve Biko Black Consciousness Movement (BCM) – was a grassroots anti-activist movement that emerged in in the mid-1960s out of the created by the jailing and banning of the and leadership after the in 1960.The BCM represented a social movement for . Scottish Kinship Care Alliance – Kinship Care is when other family members or friends (but mostly grandparents) take long term or permanent care of children unable to live with their parents. In Scotland alcohol and drug addiction are the most common causes of kinship care arrangements, but it can also be due to mental health, domestic violence, bereavement or neglect.